Making the announcement, Chief Minister Mamata Banerjee said a sitting or a former Calcutta High Court Judge would be entrusted with the probe. 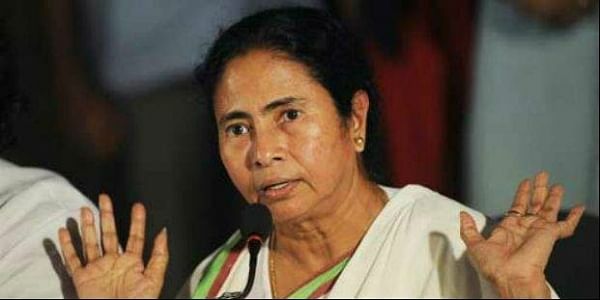 KOLKATA: The West Bengal government today announced a judicial inquiry into the "communal" clashes triggered by a Facebook post at Baduria and Basirhat in the North 24 Parganas district. "The probe would be headed by Justice (Retd) Soumitra Pal of the Calcutta High Court," Chief Minister Mamata Banerjee told reporters here. "We have decided to initiate a judicial probe into the Baduria and Basirhat riots. We want to see who was involved in them and the government will provide every input to the judicial commission. Let there be an impartial probe," she said. Banerjee added that the law would take its own course and strict action would be taken against those responsible for the clashes. She also said her government would take action against "two national-level television channels" for showing "fake" videos and claiming them to be related to the clashes. "Video clips of an incident in Comilla, Bangladesh and a Bhojpuri film were being shown as if these incidents had taken place in Bengal," the Trinamool Congress supremo alleged. She congratulated the people of Baduria and Basirhat for "not falling into the BJP's trap, in spite of provocations". Hitting out at the saffron party, Banerjee alleged that it was "destroying the federal structure of the country with the sole aim of grabbing power". "How can some people from across the border intrude and start disruptions here? Who is in-charge of border security, the Centre or the state? Once again I am saying, it is the ploy of the BJP to disturb the peace of the state," she said. Regarding representatives of various political parties, including the BJP, attempting to visit the troubled areas today, the chief minister said, "What is the need to disturb the people there? Let them settle down. Trinamool Congress MPs did not go. They could have gone there as well." Regarding her party's stand on the July 17 presidential poll, Banerjee said, "We will support the Congress nominees both in the presidential and vice-presidential elections."